For anyone who has seen my page on adrafinil, it should be no secret that I’m a big fan. It’s a nootropic which gives a lot of benefits and has relatively very few drawbacks. If you have ever considered adrafinil or are wondering if it is the right product for you, you’re in the right place. This post will explain what adrafinil can help with and who will gain the most by taking it. With What Does Adrafinil Help? Adrafinil is closely related to modafinil, another smart drug I mention quite a bit on Best Nootropics Now. Both provide many of the same benefits but deliver them in a slightly different way. 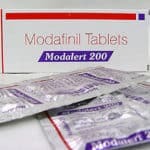 Adrafinil is a prodrug to modafinil. After taking it, before becoming modafinil the liver needs to process it first. 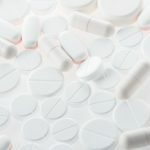 So what are the main reasons anyone would turn to adrafinil? It was created to help with narcolepsy, a disorder which causes individuals to fall asleep uncontrollably. Much like modafinil, adrafinil proved very successful in helping those who are afflicted stay awake and resist their bouts of sleepiness. On top of having success fighting narcolepsy, adrafinil also has a somewhat related benefit of making people more alert and focused. It is very effective at blocking out distractions and allows you to direct your full attention to the task at hand. In other words, anyone taking adrafinil can expect to become more productive and get more done. People from all walks of life end up buying adrafinil. It benefits students, it benefits professionals, it helps the young and the not so young. 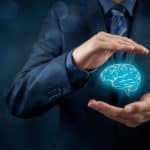 Adrafinil is also a good alternative for those who don’t want to use modafinil (there are many debates about modafinil versus adrafinil that I won’t go into here). Let’s take, as an example, someone who is about to take on a night shift job. 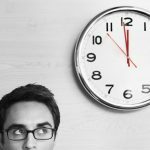 Changing schedules in this way can wreak havoc with sleep and mental performance. Adrafinil is a perfect tool for this situation. It can make the adjustment a lot smoother, especially in the beginning. Adrafinil is also very useful for fighting fatigue, another positive from which night shift workers (and really anyone) can benefit. Not only will it let you stay alert on focused on your task, but you’ll be able to do so for much, much longer. Individuals looking to improve their memory and learning capacity also do well with adrafinil. These two benefits are why it has become the nootropic of choice for students. When you need to stay up at all kinds of hours of the night, cramming or finishing up projects, adrafinil is the perfect tool. Its many effects on the brain (and body) are why I’m such a big fan of adrafinil. Those are also the reasons why it has become the hot seller it is. If anything I mentioned above resonates with you, this nootropic is worth at least considering. Go online to find adrafinil and start experimenting with it yourself. Just remember to start slow and never do anything outside of your comfort zone. Take it from me, the difference between using it and not using it can be astounding.